Set includes: 1 x Right Facing Arm Units, 1 x Right Facing Half Back Unit, 1 x Middle Unit & 1 x Coffe Table. 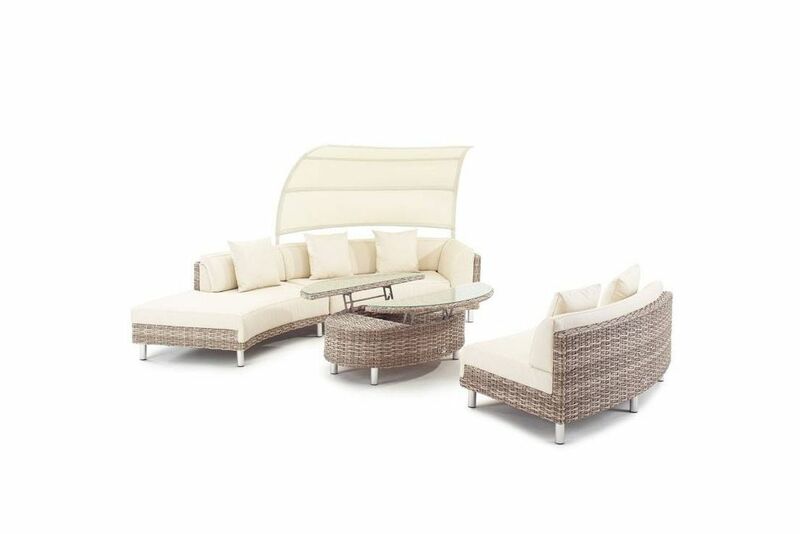 Pienza Chaise Modular Set ticks every single box when it comes to luxury outdoor sofa sets. 3 year guarantee on the Frame & Weave along with a 2 year guarantee on the Fabrics. Removable sun shades that are shaped to enhance the contemporary feel. A handy pull-out serving table built into one of the modular sections. Tempered glass top coffee table with a handy storage compartment inside complete with bottle dividers. Add extra modular sections to cater for larger spaces particularly in commercial environments.